Top quality carpet cleaning services in Marylebone W1 provided by qualified professional carpet cleaners from First Class Cleaner. Give us a call now and get an instant quote! Having neat and clean carpets at home is a must if you want to live in a healthier environment and protect yourself and the members of your family from various allergies, caused by the numerous harmful mites and germs, inhabiting your carpet. Stop putting your efforts in cleaning. 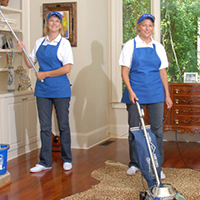 Opt for a professional cleaning service and you won’t regret it. The professional carpet cleaning procedure can prolong the lifespan of your carpets so you don’t have to make an investment in buying new ones at least a few more years. However, it is critically important to entrust a reliable cleaning company that employs certified professionals who know how to prevent any damage and shrinkage. The carpet cleaning procedure goes through several stages but in all cases, you get ideal cleanliness and freshness without spending a fortune on expensive detergents or wasting your time and energy. We will take care of everything on your behalf. You shouldn’t fear a poor performance or hidden charges. Everything is totally transparent. Not convinced yet? Get in touch with our cooperative call centre representatives and they will prove the statement that we are a customer friendly cleaning company that offers top quality cleaning services at sensible prices. Needless to say, the dexterity of the cleaning technicians is a great asset in achieving the outstanding results we are famous for. Call now and ask for availability in your area. We operate seven days a week in all parts of London. Once you see what the cleaning technicians are capable of, you will understand the reason for our popularity.